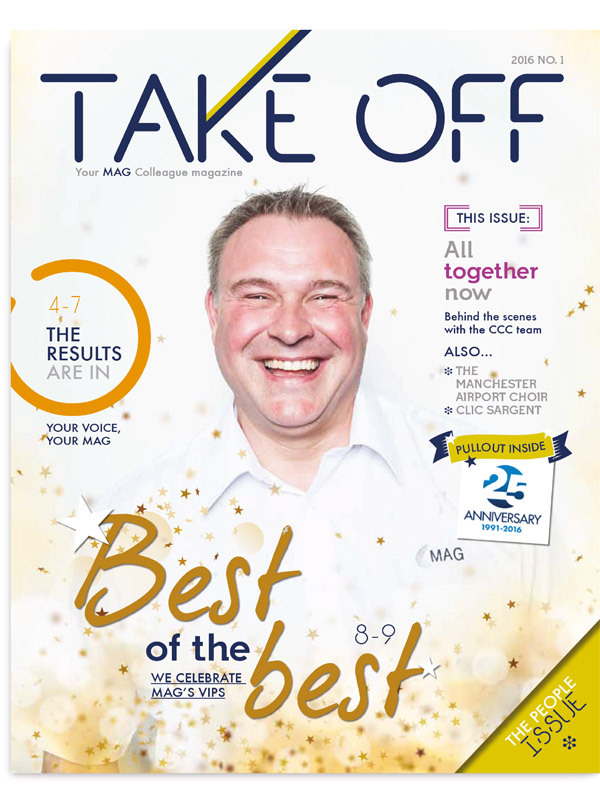 WITH A READERSHIP OF 5,000 EMPLOYEES MANCHESTER AIRPORT GROUP’S (MAG) EMPLOYEE MAGAZINE, TAKE OFF, ALWAYS HAD THE POTENTIAL TO BE A POWERFUL COMMUNICATIONS TOOL. 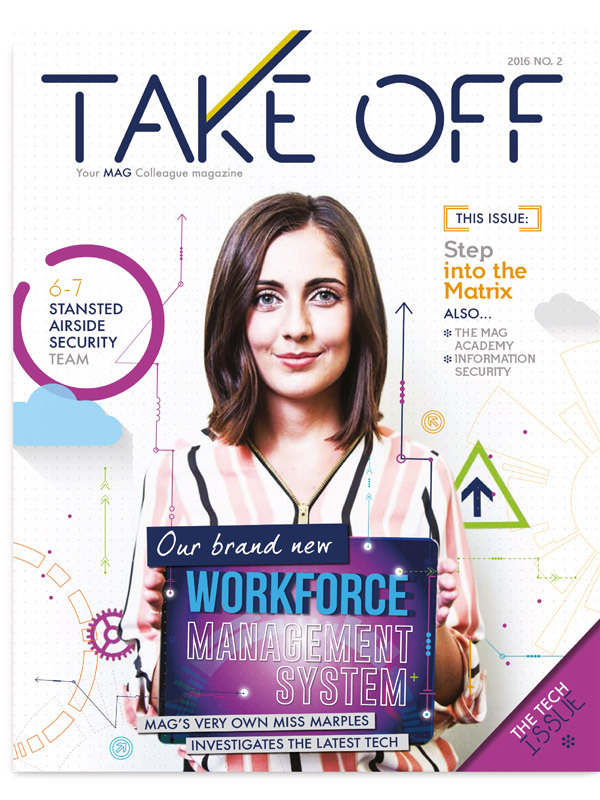 But with apathy towards their flagship publication growing, it was clearly time for a complete re-launch. 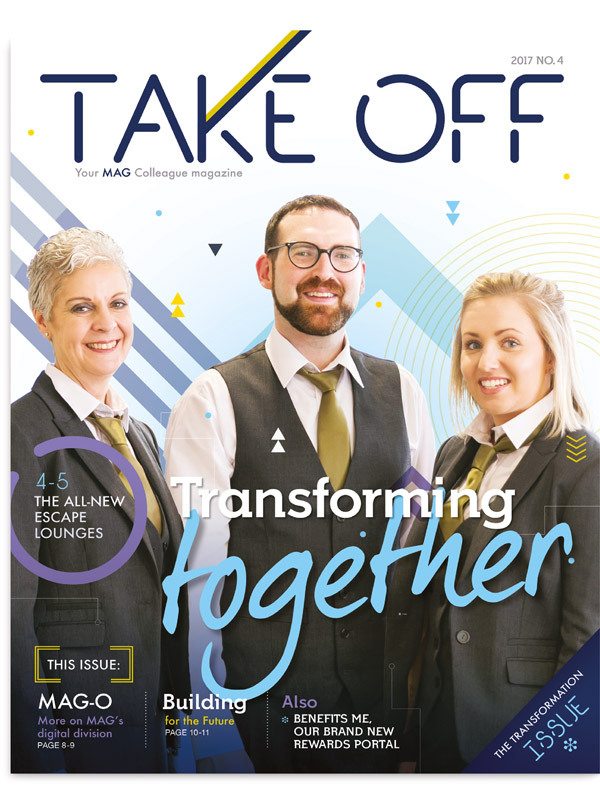 MAG wanted its people to be the focus of the magazine, and this started with their employees making the decision on which agency they’d like to see take the magazine forward. From six tender submissions, MAG showcased their top three creative concepts to employees, inviting them to vote for their favourite. We were over the moon when our design was picked as the clear winner with over 90% of the vote. Morgan Agency get us. 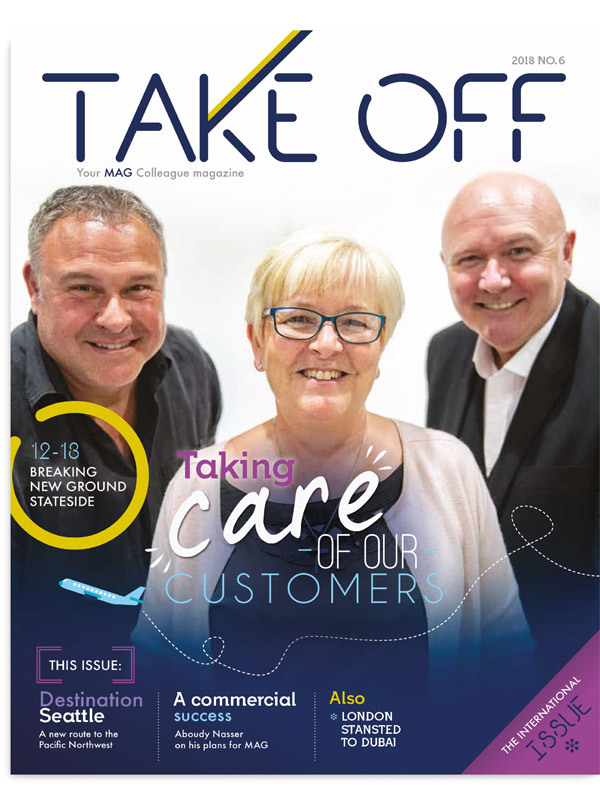 They instantly understood the focus of the business and our vision for the magazine. 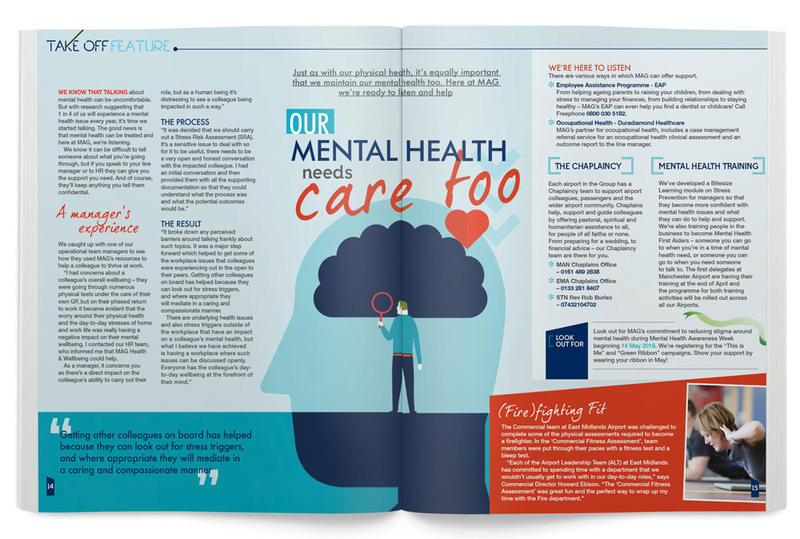 Morgan Agency helped us to create a fresh new look and feel for the magazine which has lifted its profile and has people fighting to occupy space! I wouldn’t hesitate to recommend Morgan as the go-to Agency for their innovative spirit and professional approach. 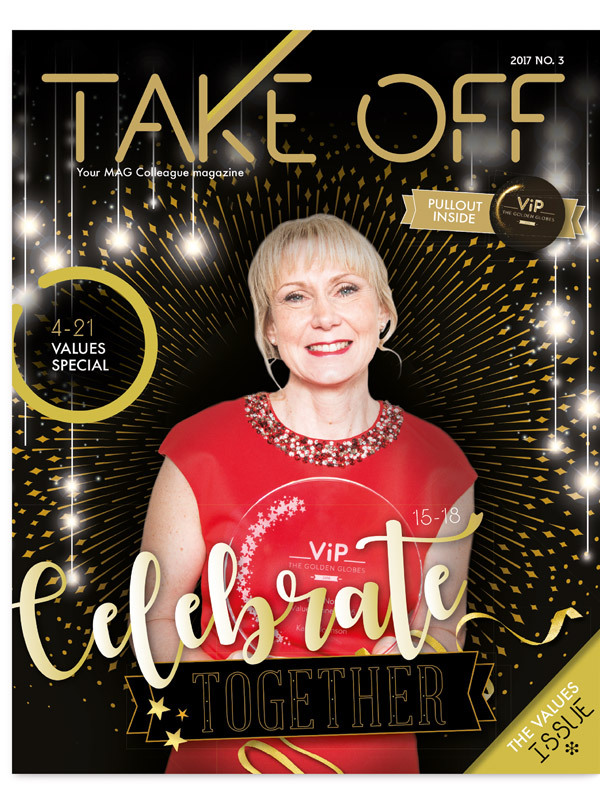 We worked closely with the MAG internal communications team and took a clean and contemporary approach to bring the 32 page publication alive. 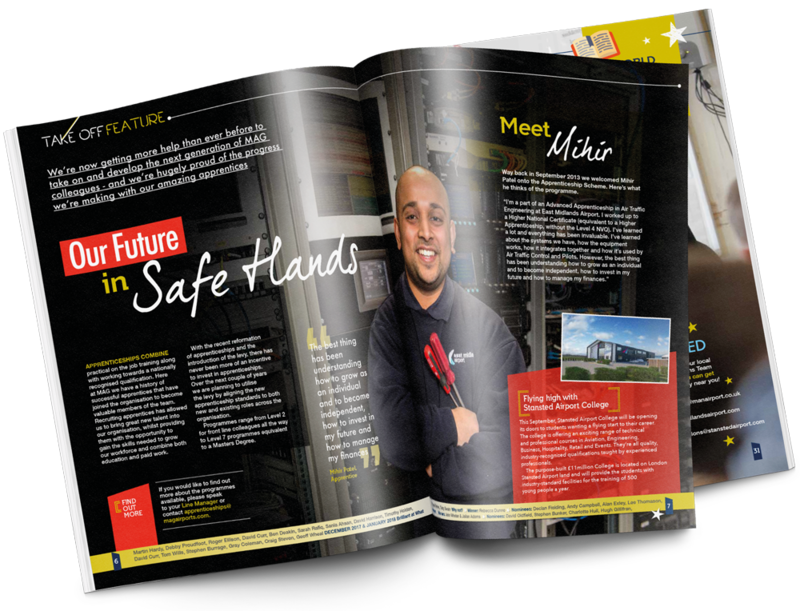 To ensure people are at the heart of the magazine, we used powerful photography to make an impact and showcase. 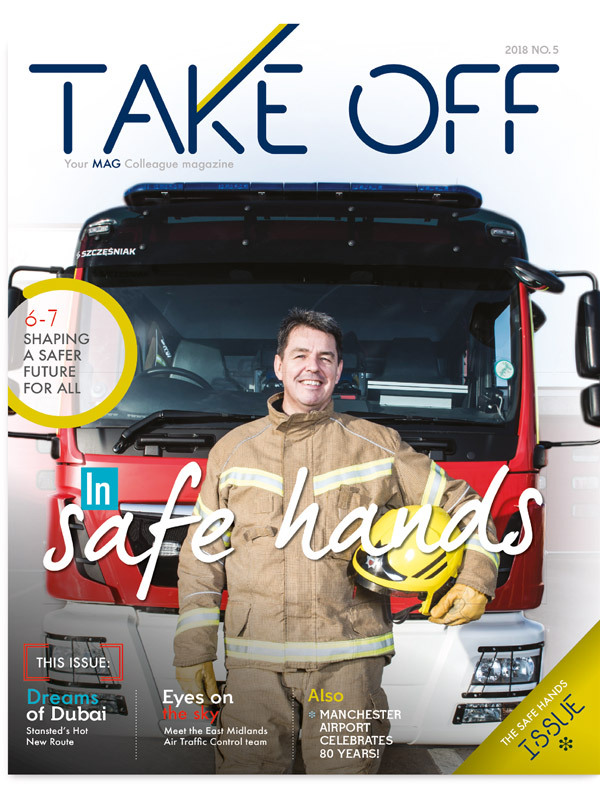 Six issues later, supported by our robust content strategy and linked to existing digital channels, the magazine is more popular than ever.